Janne' John-Reddell is a Certified Teacher. She has studied under Deepak Chopra for more than 15 years. She teaches an Ayurvedic Class called " Perfect Health", a great Meditation Class called "Primordial Sound Meditation" and also teaches the "Seven Spiritual Laws of Yoga"
Check our schedule for a personal appointment with Janne' for a consult and intro to Ayurvedic health practice, Meditation, Seven Spiritual Laws of Yoga. Janne and the Green Lotus Staff also offer weekend events and regular classes! 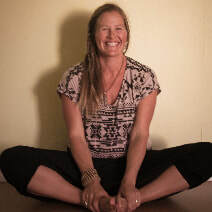 ​Jennifer Patterson Jennifer is a mentor, ongoing student of yoga and life, on a journey to live a mindful life. Her practices Integrate postural alignment with breath awareness to create a space for self discovery, spaciousness, lightness and ease while offering modifications to make yoga accessible and usable for all bodies, beliefs and people. On and off the mat, she seeks to uphold the integrity of yoga's philosophy, it's rich history and roots. Her sunny style brings a practical and non-dogmatic approach to explore the human experience through the poses with curiosity and non-judgement and with the intention of empowering students through personal experience, education and exploration. Jennifer has been teaching yoga for almost 20 years, she is a Certified ERYT 500 with Yoga Alliance and a member of the International Association of Yoga Therapists. Her style is primarily influenced by her trainings in the Iyengar tradition and in Yoga Therapy Training with Doug Keller. She is also inspired by the anatomy teachings of Leslie Kamanoff, the rich work of yoga therapist Dr Loren Fishman, Donna Farhi and by numerous other teachers who have shared their learning, teachings and love for the practice.She continues to study and practice daily the philosophy of yoga, Ayurveda, anatomy, meditation and yoga in the ever changing bodies and world we live in. “I practice yoga to live the best life I can with the most consciousness available to me today- daily mat time is the most powerful thing I have discovered that offers me that awareness"
and a Masters in Chemical Physics from University of California, Irvine. He is fortunate to be a student of Dr. Mikio Sankey whose revolutionary work, Esoteric Acupuncture, has deeply expanded the healing capabilities of the medicine. ​Tim Costa"I believe when you enter the Yoga studio, it becomes a sanctuary. When you come into your practice, you realize the body is the truest temple . The alter of your heart calls for your presence, your breath. I started to practice Yoga in the late 90’s, mainly to help my body recover from injuries of the lower spine and knees. What I started to get out of a regular practice was far beyond just feeling better physically. I noticed right away I was happier, more patient and felt I had more to give. After completing my 200 hr RYT at Shivananda Vedanta Center, I was encouraged to teach Yoga to some of my drum students, family and friends." "I have been playing music professionally and teaching percussion for over 20 years. My studies in music have taken me on several trips to West Africa, as well as Cuba to study at the National School of Folkloric Music in Havana. During my time studying music and dance, the focus has always been on the healing qualities of movement and sound. I incorporate Tibetan singing bowls and breathing exercises into every class. I am full of gratitude to be a part of this studio, this community. I hope to help encourage and inspire all to know Yoga as a way to realize the true qualities of Self. See you on the mat. Aloha, Namaste, Om." ​Jessica RoseJessica Rose has been practicing Yoga for 20 years and teaching for 15 years while having 5 children. She has experienced many teachers and had the opportunity to participate in the Interdisciplinary Teacher Training in Nosara Costa Rica in 2001 for her 200hr Yoga Certification. There she learned many gentle movements to open up all areas of the body as well as Vinyasa Flow style sequences. Jessica has also been using and selling therapeutic grade essential oil blends for 12 years and loves to share these in her classes. Please join Jessica every Thursday evening at 5:15 for some self care. 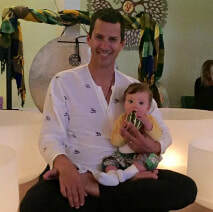 ​Angela SarahAngela Sarah began practicing Yoga in 2000, the year she had her youngest daughter. Angela completed her first 200 hours of YTT at the Mount Madonna center in the Santa Cruz Mountains in the classical Ashtanga style (8 limbed path). Since then, she has been certified in Yin, Restorative and Therapeutic Yoga. Angela follows 3 basic principles: Breath, Awareness and Kindness. She believes in a mindful, meditative approach, igniting your own inner teacher and tailoring the practice to your individual needs in this moment. Angela is also a Certified Massage Therapist, Herbalist and Infant Massage Instructor. became an Acupressure Practitioner and Advanced Massage Therapist graduate in 2000/2001 from N.California at The Acupressure Institute and The Heartwood Institute, she also delved into the energetic practices of Reiki and Spiritual Intra-Psychic Trainings. She is a Medical Qigong Therapist as well, and is continuing her studies at The International College of MedicalQigong.